Following their launches of 0x (ZRX), Basic Attention Token (BAT), and their stablecoin, USD Coin (USDC) across all Coinbase platforms, they also added Civic (CVC), district0x (DNT), Loom Network (LOOM) and Decentraland (MANA) to Coinbase Pro. In their “12 Days of Coinbase” celebration, they announced support for DAI (DAI), Golem (GNT), Maker (MKR), and Zilliqa (ZIL). Of these, GNT is not technically an ERC20 token, but is an Ethereum-based token. For example, the Golem GNT token provides access to a distributed computer farm, the Zilliqa network can be used to experiment with high-performance smart contracts, and the MKR and DAI tokens form a paired set of assets in which MKR provides governance, and DAI is a decentralized, collateral-backed stablecoin. In particular, direct access to smart contract functionality will not be immediately available through Coinbase Pro. “Our US Pro platform, operated by Coinbase, Inc., will support trading in DAI and GNT only. International Coinbase affiliates will support trading in MKR and ZIL for clients in select jurisdictions outside of the US. In Coinbase they said that they will accept deposits for at least 12 hours prior to enabling trading. Once sufficient liquidity is established, trading will begin on each respective USDC order book. 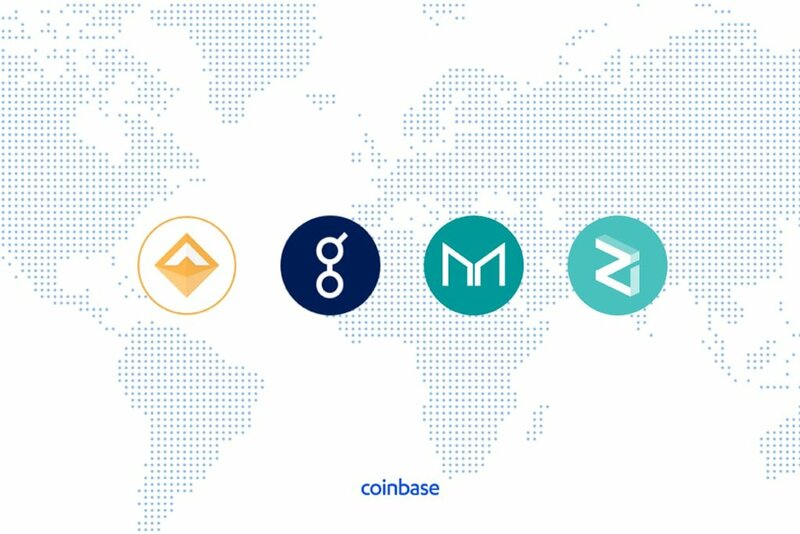 Support for GNT and DAI will initially be available for Coinbase Pro users in the US (excluding NY), the UK, EU, Canada, Singapore and Australia. MKR and ZIL will not initially be available to customers in the US, but will be tradable to users in the UK, EU, Canada, Singapore, and Australia. Additional jurisdictions may be added at a later date. There will be four stages to the launch as outlined below. Coinbase plans to follow each of these stages independently for each new order book. If at any point one of the new order books does not meet their assessment for a healthy and orderly market, they might keep that particular book in one state for a longer period of time, or suspend trading as per their trading rules. Arguably the most important announcement for long-time investors, as Coinbase investors have had a limited choice until recently, the inclusion of more tokens follows up on Coinbase’s decision to support ERC-20 tokens. The exchange has gradually added several tokens to the exchange, such as 0x (ZRX) and Basic Attention Token (BAT). Coinbase has been the recipient of a lot of public attention in the second half of 2018. With new features and tokens expected in 2019, it is doing a remarkable job of bringing exposure to cryptocurrency, and altcoins in particular. Most recently, Coinbase announced new features such as instant PayPal withdrawals and feeless crypto-to-crypto conversions. The new additions have raised some concern in the community. Previously, the company has been cautious to add new coins. The rapid addition of these new ERC20tokens could expose the company to additional liability because of potential securities classification. Another controversy is why Coinbase has chosen this particular order for token listings. Whether the process is random, or influenced by other factors is subject to speculation. Nonetheless, the expansion of Coinbase’s coin offerings will allow enthusiasts to access a broader range of cryptocurrencies, adding liquidity to the market and possibly even sparking additional adoption. Just for a reminder, in their 8th day, Coinbase introduced a new feature called Convert, which customers can use to convert one cryptocurrency into another. Next PostAltcoin Daily Preview: IOTA, Litecoin Post Impressive Gains. Crypto Winter Over?